You can call it Best Practices or Samples or Illustrations or Exemplars. Our belief is that we cannot address all your end to end scenarios as best practices, but we can definitely share the pain by helping you define the ways of accomplishing them by breaking your integration flow into smaller tasks and providing recommendations for realizing these smaller tasks which can then be put together to construct an efficient and optimal end-to-end scenario. The intention is to help you save time by providing ready answers to known queries in one place, thereby helping you create your integration flows faster. 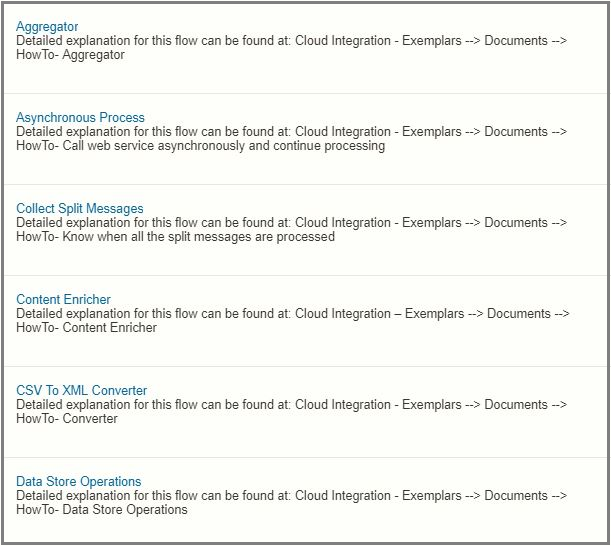 Sounds interesting – check it out at the SAP API Business Hub Integration content and the Discover View of your web interface as Cloud Integration – Exemplars. Thorough insights into process steps – including information about the intent of the step, the limitations, configuring a process step and its different flavors, etc. Each of the process step is also backed by a working sample, the corresponding script and sample payload. You can simply configure basic information, like email address, etc to get an end-to-end scenario working. 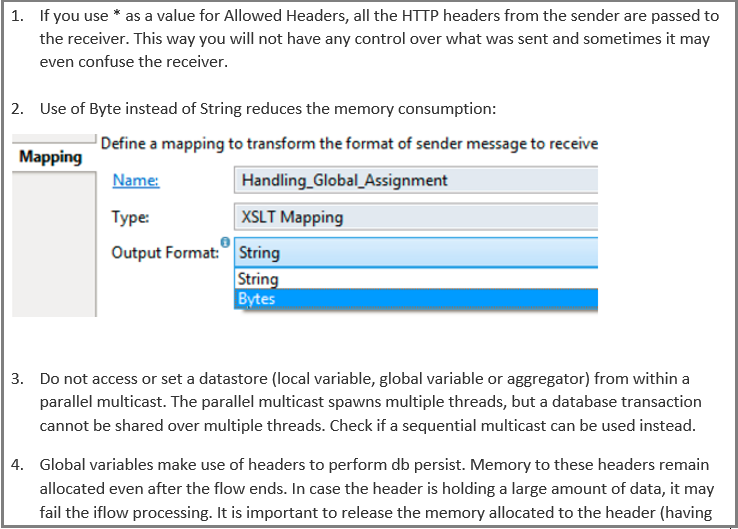 Sample of common tasks with working examples – basic tasks like accessing and setting Header and Property in XSLT, accessing credentials in scripts, accessing Header and Property in XPATH, accessing Header, Property and Externalized Parameter from Message Mapping, accessing valueMaps in scripts, externalizing additional parameters, retrieving current date and time, etc. are explained through an integration flow each and a detailed documentation. Special usecases like pagination, transaction management, batch processing, exactlyOnce modeling, delta sync, looping process, multiple output functions, creating sync-Asyn bridge, etc are explained through an integration flow and backed by a detailed documentation. Description and example based differentiation between similar process steps: like difference in the behavior of iterating splitter v/s general splitter or Content Enricher v/s RequestReply or script v/s XSLT or SAX v/s DOM parser, etc are explained with sample integration flow and documentation. Special details on lessons learnt on common pitfalls, optimizing memory footprint, content design guidance are shared through documents. A special Fix section that covers solution to commonly occurring issues is also included. 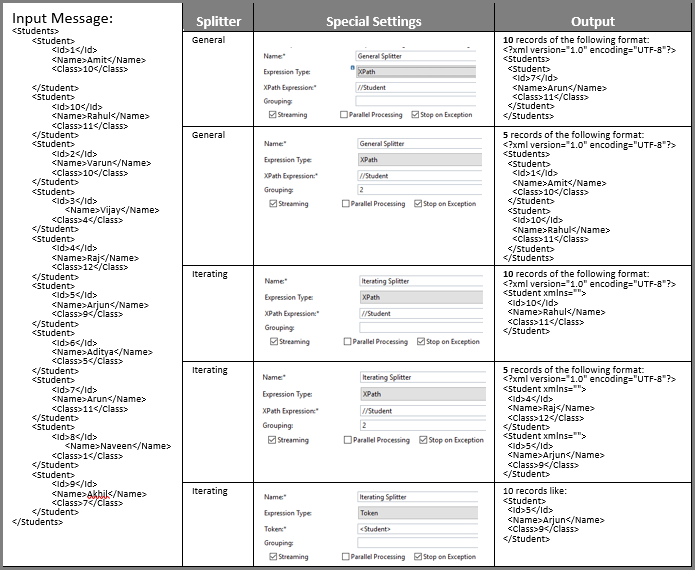 Apart from the above, you can find a lot of other special features under the Exemplars package. Each artifact is backed by a descriptive document and both cross-linked to one another for ease of use. The Exemplars package is an ever growing entity where we intent to continue delivering more and more artifacts. Keep yourselves logged. Best Thing: you can help us build it too. Need something not covered already? 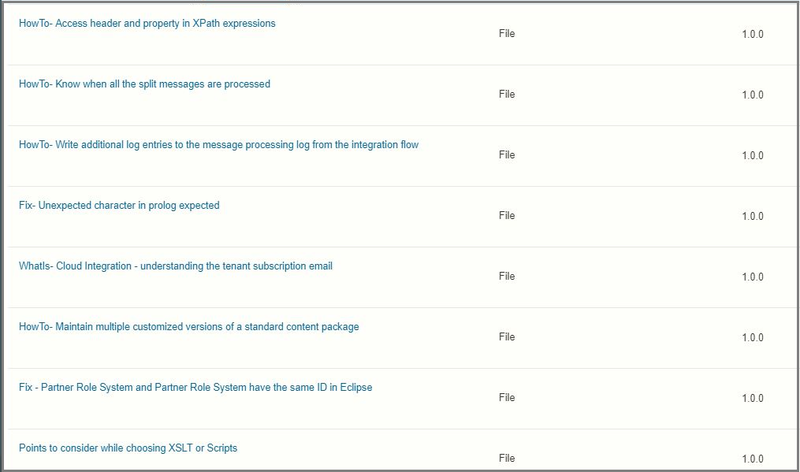 Reach out to me (at my email address maintained in the integration package) to have them created. Very helpful to understand all the basic components of HCI. and One quick question Can we create our own Library and share for public use? Hello Gagandeep, Creating a library and putting on the content hub is not possible in an adhoc manner. However, depending on what you would like to add and the value it attracts, we have various channels how your content can be made available to a larger audience. As a starting point, you can share some additional details about what you would like to share and we can see the best possible way to have it featured. Nonetheless, you are more than welcome to share your content as a write-up through this community – attaching any type of content would not be possible here, but you an link an uploaded comment to your blog. Hope this helps. I wish you a good day! All the best with your integration journey. Can you add examples for “EDI_To_XML” and “XML_To_EDI”? 🙂 . 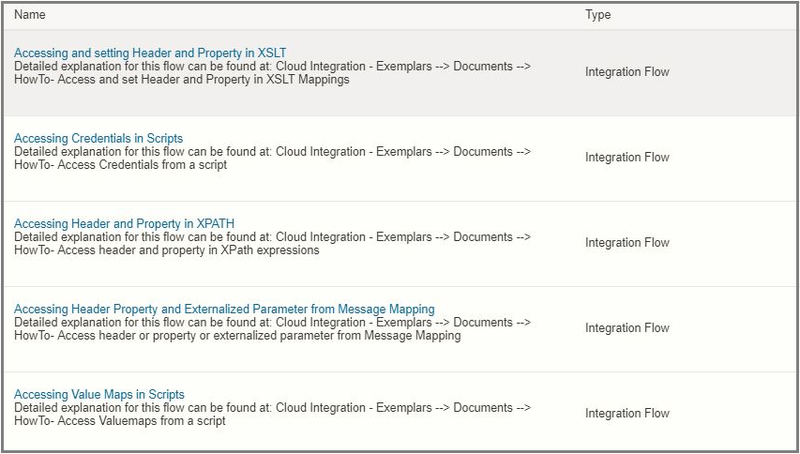 Should be nice see in “Cloud Integration – Exemplars” how to use NUMBER RANGE OBJECTs. Sure! I shall have that added asap. Extremely sorry for the inconvenience Max. I will check this and correct it soon.